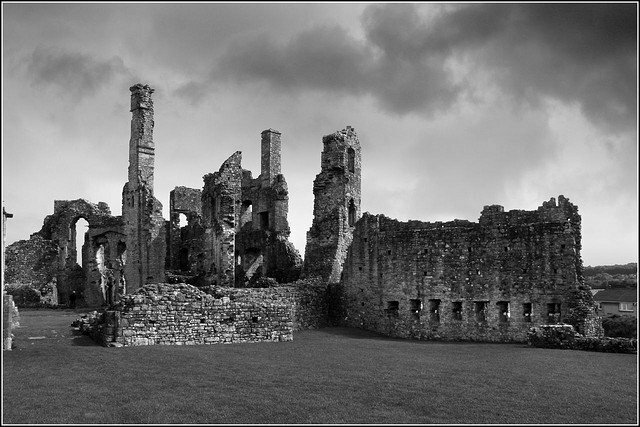 Introduction: The siege of Coity was indeed significant for its length and its importance, and it was indeed historic, because it is the most famous event associated with the castle in the entire 900 years of its existence. Yet we know very little about the siege and the circumstances surrounding it, even though it lasted for a good part of two years. No detailed account of it has ever been published. This is partly because the entire revolt of Owain Glyn Dwr (c.1400-10), of which the siege was an interesting episode, is far from easy to understand; and partly because the historical records of Glamorgan in the Middle Ages – Coity included – have mostly disappeared. It is not even known whether or not Glyn Dwr himself was present at the siege, though he probably was. The revolt was a complex movement, which historians have had difficulty in reconstructing. Particularly difficult to gauge are the extent of its appeal in different parts of Wales; the attitudes of the various peoples of Wales, native and immigrant, to Owain’s call to rise against King Henry IV (1399-1413); and the quality of Owain’s plans and strategy for a successful revolt. In 1931, J.E. Lloyd established an authoritative chronology of the events of the revolt; and in 1995 R.R. Davies’ The Revolt of Owain Glyn Dwr sought to advance our understanding of some of the fundamental issues, and especially to place Owain and his revolt firmly in ‘the context of contemporary society in Wales and indeed beyond’. Owain himself see to use today – as he seemed to many at the time – a shadowy figure, a wil o’ the wisp, despite the sternly heroic statue of him placed in Cardiff City Hall in 1916. Moreover, in Wales his movement has been hi-jacked by each succeeding age since the fifteenth century, including our own – and for its own cultural and political purposes. That has not aided understanding eiehter. As for contemporaries, their reactions to, and passions about, the revolt produced distorted or myopic attitudes in both England and Wales towards Owain as its acknowledged leader.